Photographs by Xina Scuderi featuring details of wildlife and nature. The exhibition is located in the Visitor Center at Bok Tower Gardens. Summer Hours for Pinewood Estate: Open daily from 11 a.m. – 3 p.m.
General Admission Adults $14, Children (5-12) $5, Children ages 5 and under are free. This ticket option includes admission to the Gardens, Pine Ridge Nature Trail, Preserve Trail and the Visitor Center complex. Combo Admission Adults $20, Children (5-12) $10, Children ages 5 and under are free. 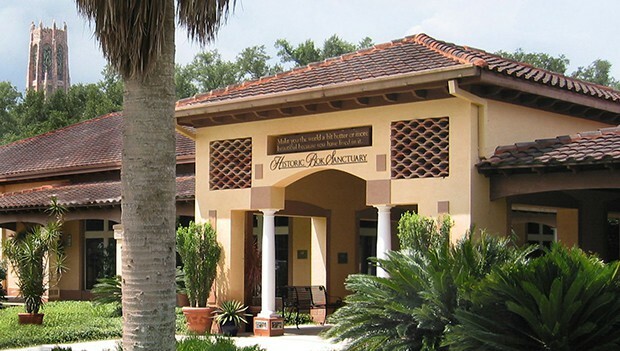 Bok Tower Gardens has reciprocal benefit partnerships with various museums and cultural institutions throughout Florida and the American Horticultural Society. If you are a member of these participating organizations, check your membership benefits to see what discount is available to you. These discounts can only be applied at the entrance gate upon arrival. Admission tickets are valid for one day and do not include admission to specially ticketed events. Parking at the Gardens is always free.